Advanced Search • Buy Tracks! Jazz books, Jazz Play-A-Longs, Jazz Education and Performance DVD's, and more! Please download our most recent jazz books catalog below. 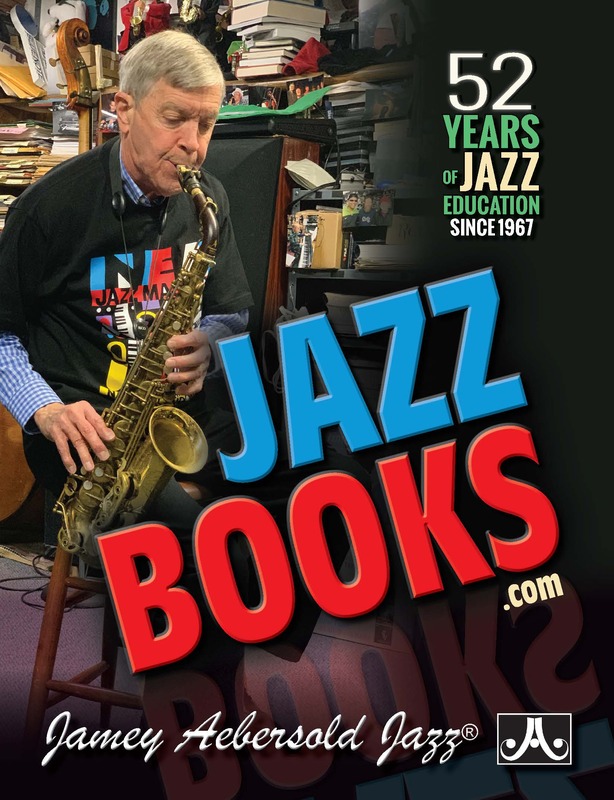 Please note: our free jazz books catalog only features JAMEY AEBERSOLD publications, but we offer THOUSANDS of titles from all different music publishers here on our website! © 1997-2019 Jamey Aebersold Jazz®. All Rights Reserved. The worldwide leader in jazz improvisation educational materials for over 50 years! Jamey Aebersold Jazz® does not accept liability for incorrect spelling, printing errors (including prices), incorrect manufacturer's specifications, or grammatical inaccuracies in any product included in the Jamey Aebersold Jazz® catalog or website. Prices subject to change without notice. Website Development by Dreamchaser Design - Certified Miva Merchant Partner & WordPress Developer.